The Peoria Lakes, which refer to the widened portion of the Illinois River in the Peoria area, are natural riverine lakes that were formed by tributary deltas that narrow the valley and pinch the river to form two broad basins. The Lakes are Greater Peoria’s most precious natural resource and are a significant landmark that have defined the region for thousands of years. However, over time, water quality has declined, habitat has been lost and degraded, and sedimentation has steadily filled in the Lakes due to urbanization, industrialization, and the conversion of prairie lands to agriculture. Today, the majority of the Peoria Lakes is less than three feet deep. The purpose of this planning process was to reach a regional consensus on how to conserve the Lakes for current and future generations. Additionally, the planning team wanted to document the process to make a model that other organizations and entities can adapt to use for their own bodies of water. 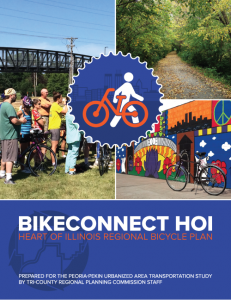 The planning team held two open houses, formed a Project Review Committee, and connected with numerous regional stakeholders to develop 18 recommended conservation measures and grouped into four conservation alternatives. This document is a stepping stone towards a future implementation plan. It does outline what an implementation plan may consist of, including a multi-generational plan that provides a potential project timeline. 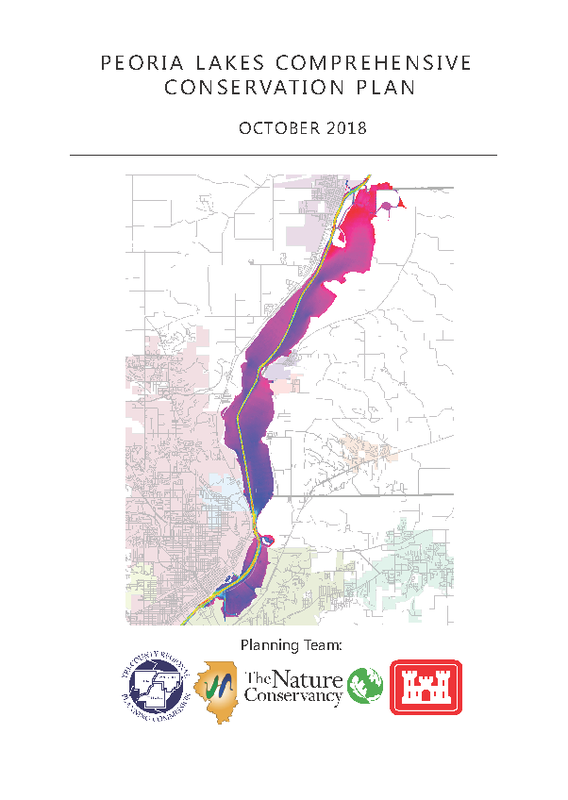 The completion of this planning process, including the building of a solid regional network of stakeholders, is a crucial beginning for conserving the Peoria Lakes. More detailed analyses and planning will be needed prior to implementation.